“Ishu”, 91 minutes long Assamese film is the first feature film by National Film Award winning film critic and documentary filmmaker Utpal Borpujari. Children’s Film Society, India (CFSI)’s newest production “Ishu” is a feature film that will instantly take the viewer to a world of a kid whose innocent and happy-go-lucky world turns topsy turvy thanks to the superstitious society of adults around him. Set in a remote tribal Rabha village in Lower Assam area bordering Meghalaya’s Garo Hills, this Assamese feature film is based on renowned Assamese writer Manikuntala Bhattacharjya’s popular novel “Ishu”, and marks the feature film debut of National Award-winning film critic and acclaimed documentary director Utpal Borpujari. Treated like a fairy tale albeit set in today’s times, “Ishu” is a sensitive take on how such incidents impact a child psychologically, with the narrative taking the viewer along protagonist Ishu’s quest to find his aunt who goes missing after being assaulted by the villagers at the instigation of the villainous quack. The social evil of ‘witch hunting’ has been a recurring problem in Assam, so much so that the state Assembly unanimously passed the Assam Witch Hunting (Prohibition, Prevention and Protection) Bill 2015, following years of sustained campaign by civil society organisations and an intervention by the Gauhati High Court. The Bill, however, is still awaiting the President’s assent to become a law. Several incidents of witch hunting has been reported in Assam during this year too, while according to data placed in the state Assembly, 93 cases of witch-hunting were reported and 77 persons, including 35 women, were killed during 2010 to 2015. “However, despite its sensitive and serious backdrop, my film treats to subject in a way that it is suitable for viewing by children. In fact, the Central Board of Film Certification (CBFC) has given it a U certification without any cuts,” says Borpujari, who believes that children’s films can affectively take up social issues if handled sensitively. “Movies like ‘Ishu’ bring awakening in the society about the ill-effects of social evils and educate people about their harmful aspects on the society. CFSI will continue to make and promote such films whose themes are aimed at bringing about transformation in the society for the benefit of mankind, particularly children,” he says. “This is the first feature film made by well-known film critic and documentary film maker Utpal Borpujari and we hope that children as well as elders will like it,” he says. Incidentally, the script of “Ishu” was chosen as the only Asian entry into the 2012 Junior Co-Production Market of Cinekid International Film Festival, Amsterdam. In the film, the lead role is played by 10-year-old Kapil Garo, who hails from Sonapur area near Guwahati. Kapil, who has given a performance with a maturity much beyond his tender age, was selected for the role after the director and his team interacted with nearly 300 kids across Assam. “Kapil has the required innocence and charm that I had visualized in Ishu, and being from a village himself, he blended naturally with the character,” says Borpujari. The film also stars two-time National Award (Special Jury Mention)-winning actor Bishnu Kharghoria and National Award-winning Manipuri actress Tonthoingambi Leishangthem Devi, along with veterans like Chetana Das and Pratibha Choudhury and talented younger actors like Monuj Borkotoky, Dipika Deka and Nibedita Bharali. Others in the cast include Mahendra Das, Rajesh Bhuyan, Naba Kumar Baruah, Monuj Gogoi, etc. 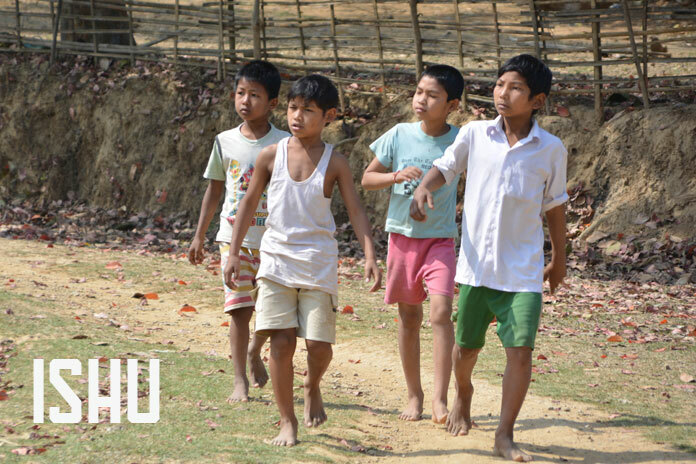 Along with Kapil Garo, other child actors in the film include Mahendra Rabha, Srabanta Rabha and Uday Rabha. The film’s dialogue, with emphasis on how the Rabha people living near Goalpara area speak Assamese with a particular accent, has been written by Borpujari in collaboration with award-winning theatre director Sukracharjya Rabha of the famed Badungduppa Kala Kendra of Rampur, Agia. Several actors from the Badungduppa group, including Dhananjay Rabha and Basanta Rabha, have acted in pivotal roles in the film, which has been shot in pristine locations of several Rabha tribal vilages near Agia in Goalpara, located on the south bank of the mighty Brahmaputra. It may be mentioned that NSD graduate and actress Pranami Bora conducted an 8-day workshop for the actors of the film at Badungduppa Kala Kendra premises, and Madan Rabha and Basanta Rabha were in charge of imparting accent training for the actors so that all of them could deliver their dialogues in the local accent. The film has been edited by the legendary A Sreekar Prasad, while its sound design is by Amrit Pritam Dutta and music is by Anurag Saikia, all National Award winners. The cinematographer is Sumon Dowerah, a veteran of many award-winning and mainstream films in Assamese, while other prominent crew members are JItendra Mishra (executive producer), Hengul Medhi (final sound mixing), Monjul Baruah (associate director), Homen Borah (production manager), Golok Saha (art director), Rani Dutta Baruah (costumes) and Achitabh (Shanku) Baruah (make up). The assistant directors of the film were Ghanshyam Kalita, Ronal Hussain and Monuj Borkotoky. An M.Tech in Applied Geology from IIT-Roorkee, Utpal Borpujari won the Swarna Kamal for Best Film Critic at the 50th National Film Awards of India in 2003. 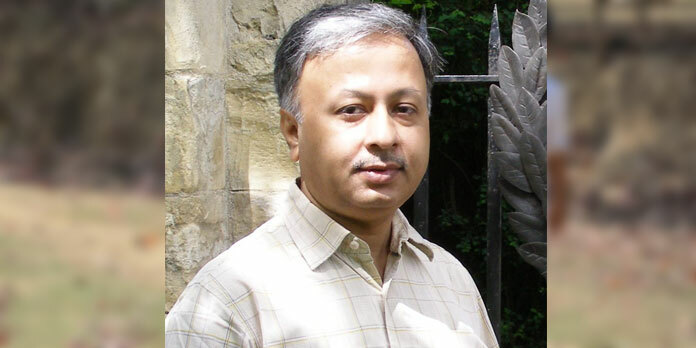 As a professional journalist, apart from cinema, he has written extensively on politics, society, culture, literature, etc., while working with some of India’s top media houses. Since 2010, when he decided to turn a filmmaker, he has made several acclaimed documentary films that have been screened across the world in various film festivals. Among them are “Mayong: Myth/Reality” (2012), “Songs of the Blue Hills” (2013), “Soccer Queens of Rani” (2014) and “Memories of a Forgotten War” (2016). Borpujari has also served in international film juries as an erstwhile member of the International Federation of Film Critics, apart from having served on juries for National Film Awards and Indian Panorama. He has also curated films as well as served as a consultant for the Northeastern sections in the International Film Festival of India as well as various other film festivals. “Ishu” is his debut fiction feature. He is currently developing scripts for a Hindi and an Assamese film.